This brilliant white, super smooth paper is the favorite in the Stampendous offices. We love it for the way it takes a crisp, stamped image and any coloring media from alcohol markers to watercolor to colored pencil. Perfect for use on our Creative Palette. You'll never need another white paper again. 80 lb cover stock. 25 sheets of 8-1/2" X 11" paper per zip-closed package. Made in the USA. 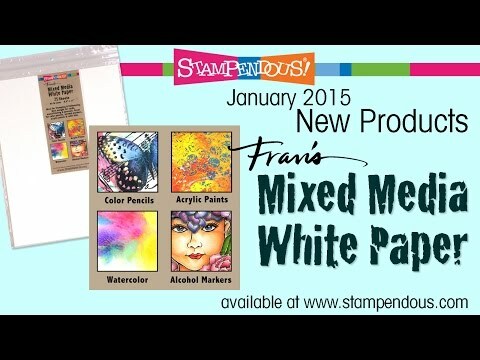 Mixed Media White Paper was added to your cart.